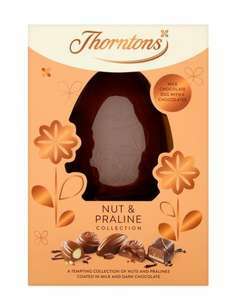 Thorntons Milk Chocolate Egg with Chocolates at Morrisons was £4 now £2, decent buy. Maximum 20 promotional items per customer. Is morrisons open on easter Sunday then? Good deal but as grove39 says the shops are all closed today so will look tomorrow. Thanks for sharing! Just had a look at the local retail park and the eateries are the only ones open.